New and current fuel rewards members automatically receive instant Gold Status. Members with Gold Status save big. For over 19 years, Nelson’s Shell has been in the business of showing you that every gas station is not created equal. We provide a range of services, including quality fuel, a fully stocked convenience store and outstanding customer service. that we have provided a host of amenities to make your stop as easy and enjoyable as possible. From a set of pumps where you can choose from diesel or regular fuel to our convenience store that offers great snacks and other amenities for the traveler on the go, we make sure you are cared for. Too often service stations scrimp on the quality, leaving travelers with little or no options when they’re on the road. We endeavor to be more than just the nearest gas station in Waupaca, WI, and instead seek to be the best gas station in Waupaca, WI. We offer fuel at great prices and even provide customers with gas rewards. Our convenience store has an assortment of snacks and fresh coffee. Our sales representatives are friendly and helpful. We have an on-site ATM. Our Facebook page regularly showcases promotions and other great rewards. "I love coming into this store!" March 6, 2017 Mackenzie H.
"My favorite stop for coffee in the morning! Not only is the free Shell rewards program great to get money off of gas by just buying my coffe..."
January 5, 2017 Clint G.
"Clean. Good gas. 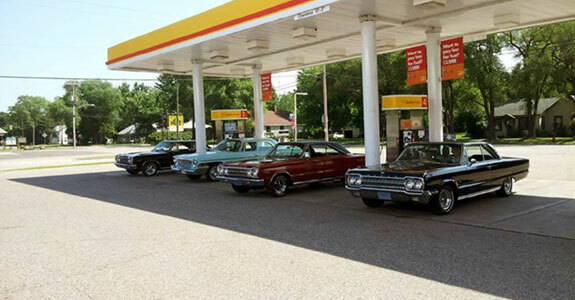 I get better mileage with the gas from here than any place else in town." August 29, 2016 Amber L.
"Such great service! Always super friendly"